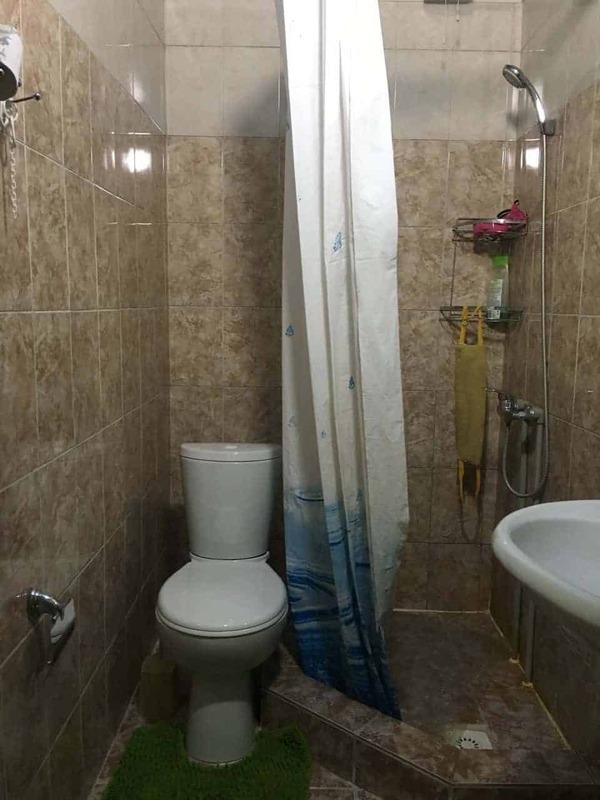 Rahat Guesthouse offers single and triple rooms with a private bathroom and shower. Select rooms also offer mountain views. The guesthouse has a garden where guests can relax. A local breakfast is available every morning, and is included in the price of the room. Home cooked lunch and dinner is also available, including vegetarian options. Mountain bike rental is available, as is information about nearby treks, horseback riding, skiing or other outdoor activities. Rahat and his family look forward to welcoming you. Rahat Zhakypov has had a unique perspective on Jyrgalan over the years. 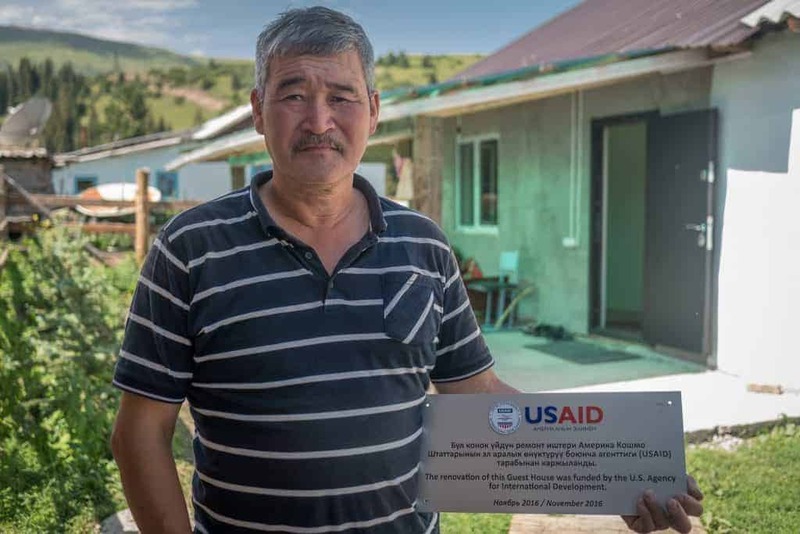 He spent most of the 1990s and early 2000s as the town’s only police officer, and he watched his community attempt to recover from massive economic setbacks in the wake of the collapse of the Soviet Union, when Russian-supported factories and mines closed. When no recovery occurred — the jobs never came back to the Valley — he transitioned his work into town administration. It was in 2004 that Rahat and his wife, Janyl, first thought that Jyrgalan could cater to winter tourists. The winters in Jyrgalan create blankets of snow ideal for freeride skiing. Unfortunately, without access to investors, nothing ever materialized. And as the years passed, the oldest of their five children moved onto university and made plans to live outside of the Jyrgalan Valley. Rahat and Janyl talked about following their children’s exit as well. The village was near ruin, according to Rahat, and it felt hopeless to stay. 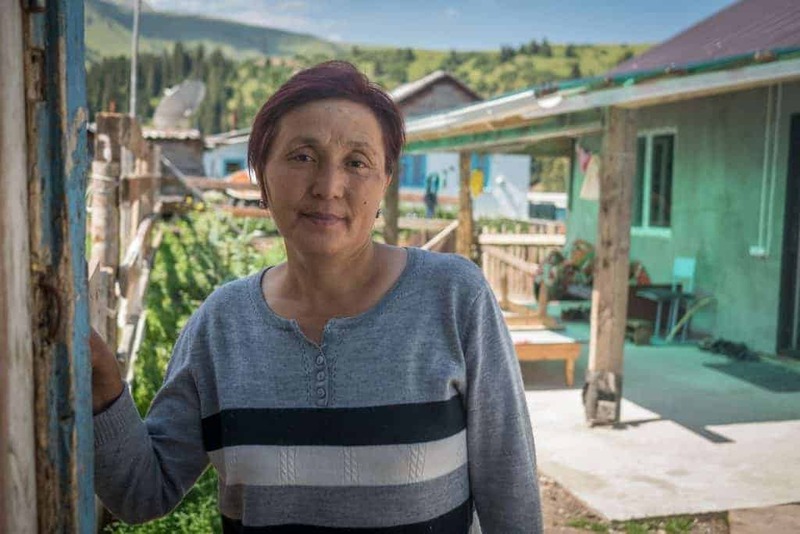 With their twins still mere children, the family knew they would find opportunities in villages that had better access to the tourism dollars that were slowly trickling into some areas of Kyrgyzstan. Rahat’s familial village was nearer to Karakol, and the family had all but decided to move there, despite their love for Jyrgalan. 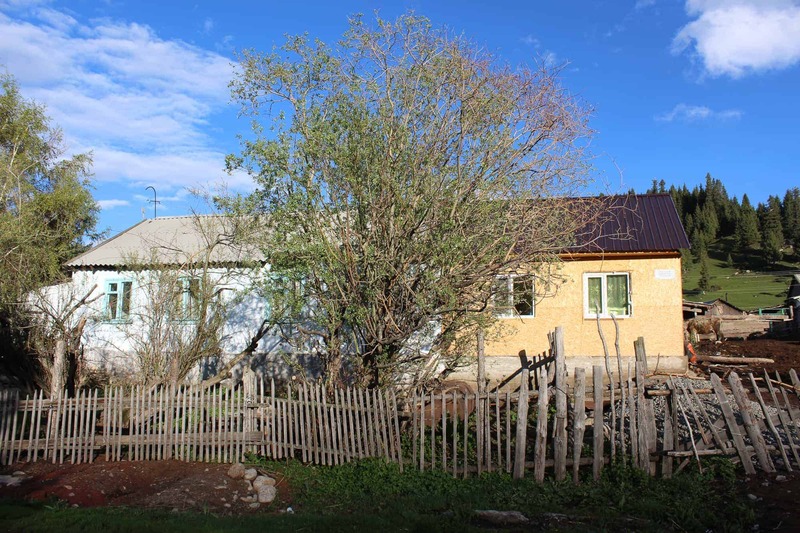 Then a man named Emil moved into town, bought land, and created the village’s first guesthouse. Through Emil’s connections and leadership, the villagers saw a way forward through tourism. The first stirrings of tourism talk began in 2015, just in time for Rahat and Janyl to pause their plans to move away. The entire family loved the valley, and their past careers had embedded them deeply within the community. If there was a chance to stay and help create a future for Jyrgalan, and themselves, then Rahat and Janyl were willing to take a chance. That leap of faith paid off sooner than they had ever anticipated. The couple believe that if tourism continues to grow at the current pace, they can truly plan for their family’s future in tourism. 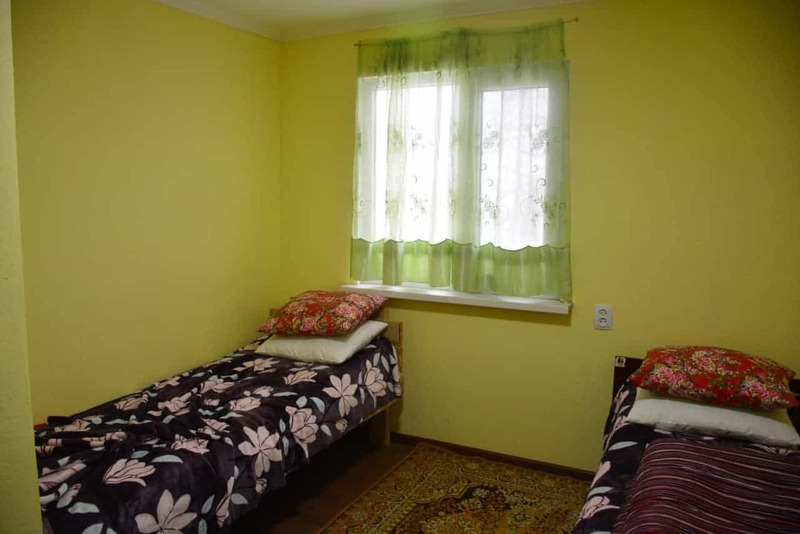 They will expand their guesthouse, build a sauna, and will train the children in hospitality management. This new tourism business will be Rahat and Janyl’s legacy to secure a brighter future for the generations to come. Beyond the economic incentives from tourism, Janyl and Rahat believe they have found their calling. Janyl had never before imagined the sheer diversity of cultures and customs in the world. And these new perspectives have given her a new appreciation from her own home. As tourists return from treks into the nearby mountains with gushing, amazed reviews, Janyl and Rahat are reminded to be grateful that they continue to call Jyrgalan Valley their home.